← Global Tax Reform is Back — At Least Discussion on Both Sides of the Atlantic. U.S. Export of Liquefied Natural Gas — Geopolitical & National Security Impact. The geopolitical and national security implications of U.S. export of liquefied natural gas are immense. But so are the trade and foreign policy implications. The Shale Gas Revolution in the U.S. and the potential large-scale export of LNG has significant implications for U.S. energy policy as well as global energy relations and U.S. diplomacy. Opening trade in natural gas is clearly within out national interests. It will impact our national security and foreign policy calculus. However, some interest groups, those energy-intensive industries, within the U.S. are not too happy. They want to restrict such exports in favor of domestic industry. This last point is legally dubious under WTO law. It is the U.S. that brought recent cases against China in the WTO over its export restrictions on various raw materials and on rare earth minerals. 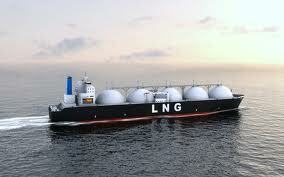 In the U.S. an export license from the Department of Energy is required to export LNG. To those countries that have specific trade agreements with the U.S. (often our closest allies) that approval is almost automatic. Other countries without trade agreements may purchase LNG but the process is much more difficult. Proposals have been floated to increase the countries subject to the automatic process. This newest trade debate is being played out over the specific issue of U.S. Dept. of Energy approvals to plants to export LNG globally. As more plants come online, global demand for cheaper gas increases, and opposition from domestic industry hardens the issue, LNG exports have the potential of becoming a divisive trade issue within and outside of the U.S. This is especially true as a number of foreign companies invest in LNG projects and plants and raising anew the issue of national security into critical industries. The way this debate unfolds domestically and globally will have significant implications for U.S. diplomacy, national security, trade policy and domestic politics. Stay tuned. …………. “Geopolitics and Exporting Gas.” Wall Street Journal (May 6, 2013). ………… “Foreign Companies Invest in U.S. LNG Export Projects.” New York Times (May 18, 2013). This entry was posted in Global Trade Relations and tagged energy export, foreign investment in LNG projects and national security, geopolitics and LNG exports from the U.S., liquified natural gas exports, LNG exports, national security and energy exports, Shale Gas Revolution, treaties and energy export licensing, U.S. Dept. of Energy licensing of LNG exports. Bookmark the permalink.